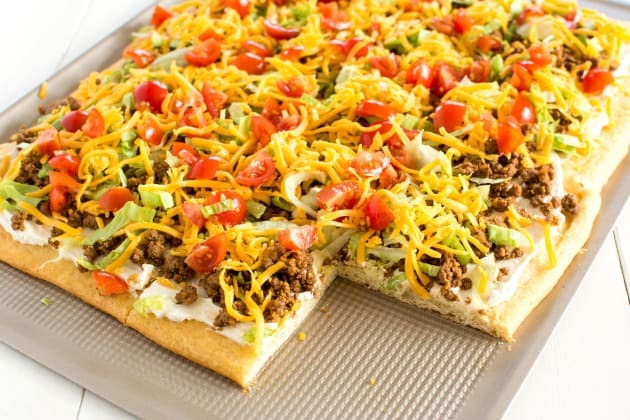 Taco Pizza is the appetizer for when you just can’t decide between your favorite foods. And now you don’t have to! Taco + Pizza for the win. Everybody loves tacos. And not just regular tacos but taco everything! 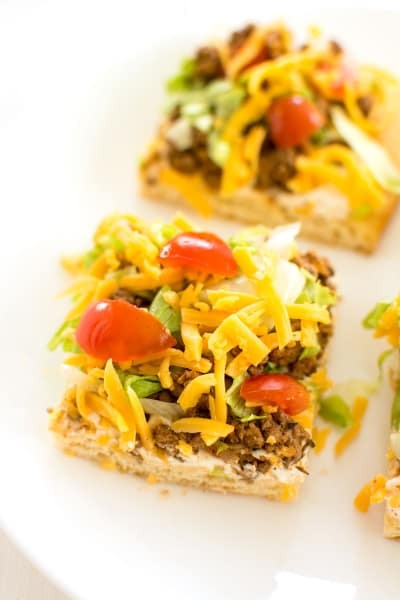 Taco Pasta Salad, Taco Dip, Taco Hand Pies… I love tacos in any way shape or form! 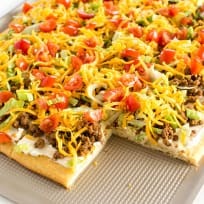 This cream cheese taco pizza appetizer is easy to make and you can eat it for dinner as well. 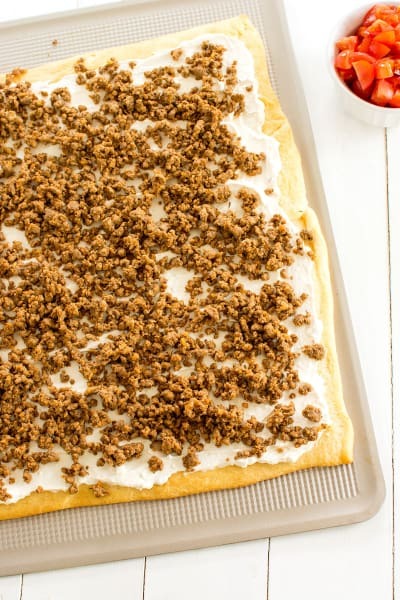 First, unroll the crescent dough and place on a baking sheet. I like to use the sheets of dough so I don’t have a lot of seams to pinch together, but you can use the crescent roll dough just as well. You can use any kind of dough for the crust to be honest. Canned biscuits flattened into a crust or pizza dough work just as well. Bake the dough until golden, then cool it completely. 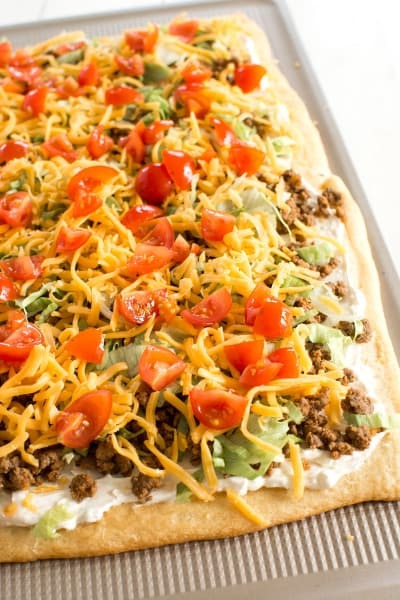 While the crust is baking and cooling, you can get started on the taco meat. Cook according to the instructions on the taco seasoning packet or using your favorite taco meat recipe. I like to make triple batches of taco meat at a time (or more) since it’s something we eat so often. I freeze the extras and pull them out to thaw when I have a recipe such as this. Next, mix together the cream cheese and sour cream. Make sure the cream cheese room temperature or warmer so it blends easily. If you or your guests are not fans of spice, leave the mixture as is. However, for extra flavor I like to mix in a little picante sauce. My husband is a big Cholula fan, but he’s currently hooked on The Pepper Plant Original California Style Hot Sauce. He bought a half gallon of it! Make sure you use a thick hot sauce or the cream cheese mixture will get watery. You can mix the cream cheese and salsa first, then add the sour cream a little at a time until a spreadable, but not drippy consistency is achieved. Spread it all over the crust (make sure it’s cooled all the way!). 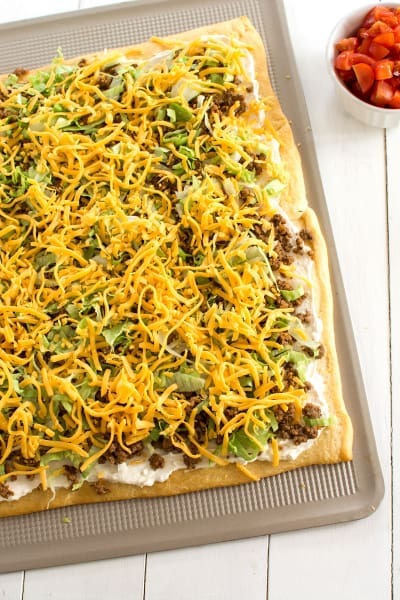 Then start adding the toppings: taco meat, cheese, lettuce, tomato and done! Feel free to get creative and add your own favorite taco toppings. Some ideas: black or pinto beans (drained and rinsed), corn, olives, pickled jalapeno slices, diced green chiles, cilantro, chopped onion. Cut into squares and serve. 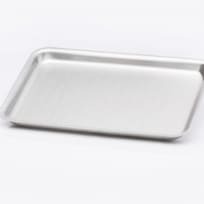 If you’re not going to serve immediately, cover with plastic wrap and refrigerate. We’ve eaten leftovers the next day, but the crust starts to get soft and the lettuce wilted at that point. So, best enjoyed within four hours! Unroll crescent roll dough and place on a large ungreased baking sheet. Pinch the seams together to make one sheet of dough. Bake for 8-10 minutes or until light golden brown; let cool. 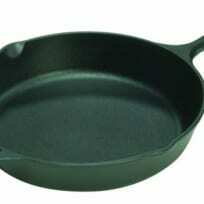 Meanwhile, in a large skillet, brown ground beef until no pink is remaining. Drain any excess grease. Stir in taco seasoning and cook according to package instructions; let cool. In a small bowl, whisk together cream cheese, sour cream and hot sauce (if using); spread in an even layer over cooled crust. Top with cooled taco meat followed by cheese, lettuce and tomato. 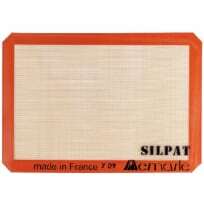 Cut into squares before serving. Serve immediately.